This holiday season, consider a pair of binoculars for the outdoorsmen/woman in your life. If you are that outdoorsmen/woman, you’ll know just how important binoculars can be for activities like hunting, birding, and other sporting activities. There is a multitude of binos out there that are specialized for specific activities. There are even binoculars with the appropriate range to view plays and operas indoors. Click here to see our top picks for the best binoculars of 2018. The price of binoculars varies dramatically depending on the activity. Mini and hand-held binoculars are more focused towards short range activities like birding and opera while hunting binoculars feature longer and more powerful objects to spot game at a longer distance. Another aspect is detail and coloration. You’ll want a pair of binos that are able to pick up small details to help you locate and identify animals and objects. If you don’t find a pair of binos here that interest you, check out the bestsellers. 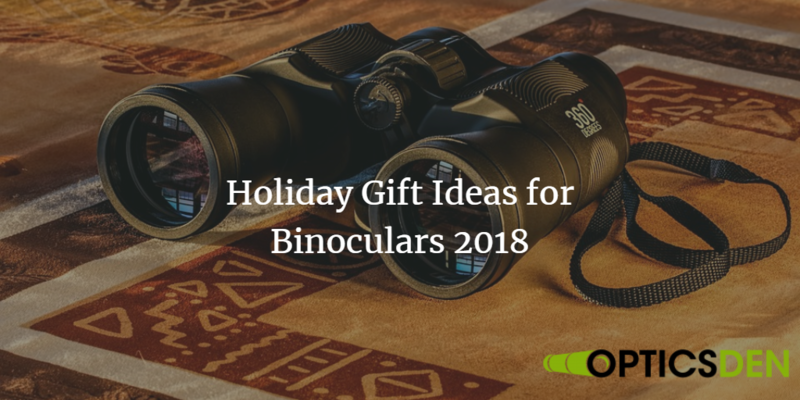 Do Binoculars Make Great Gifts? Upland’s 10x42mm binos are exceptionally powerful sporting optics. While water and fog proof, they’re on the heavier side, so you’ll probably need to invest in a good chest strap for when you take them out on long excursions. These binoculars fit in the palm of your hand and come with shorter range optics. You won’t have to worry about stages being too blurry from indoors because it appropriately distributes incoming light to your eyes. The SkyGenius 8x21mm’s also fit in the palm of your hand. Despite their size, they have a wide FOV (field of view) at long range. The knobs that control focus are simple and easy for children to use, making it an ideal children’s optic as well. The Nikon Aculon’s are a variable zoom type of binocular. Most binoculars require you to focus at different distances but Aculon simplifies the process with variable zoom. They’re also pretty lightweight given their size, so they’re the perfect all-around pair of binoculars. Binoculars are the quintessential tool to seeing things that are too far for the naked eye and too close for a spotting scope. Of course, you’ll shouldn’t feel limited by what the company says a pair of binoculars is specialized for. You can pretty much use any pair of binoculars for any purpose. It just doesn’t make much sense to use hunting binoculars in a theater, and smaller binoculars won’t have the power to see far away and differentiate color in the wilderness. A pair of binoculars under the tree or in a stocking will make a great gift this holiday season. Just make sure you know what pair you’re buying!